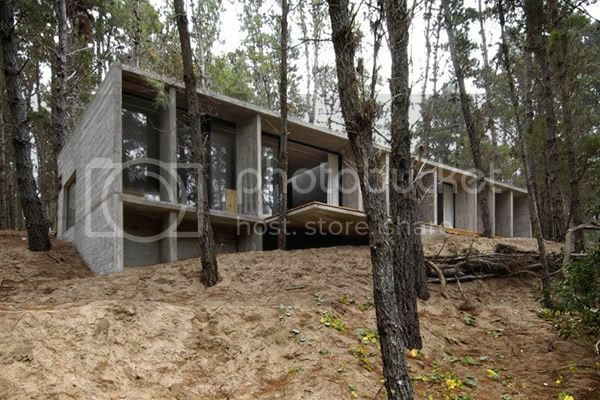 A sandy dune beach, dense wooded surroundings & a sloped lot created a challenging landscape on which to design & build a home, yet these characteristics are moreover what distinguish this oddly attractive location. 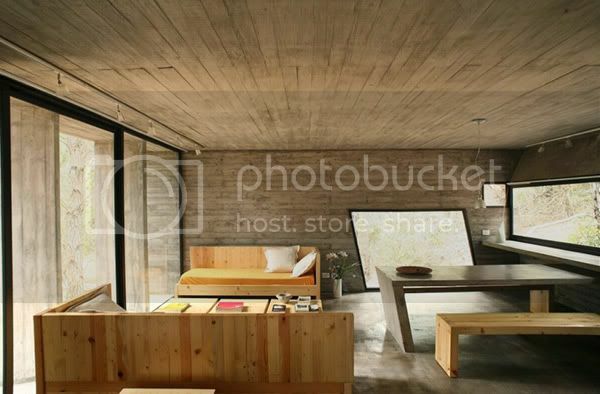 The obtusely angled walls denote sheets of rock, layered with large glass walls to naturally brighten every corner of these cave-like interiors. 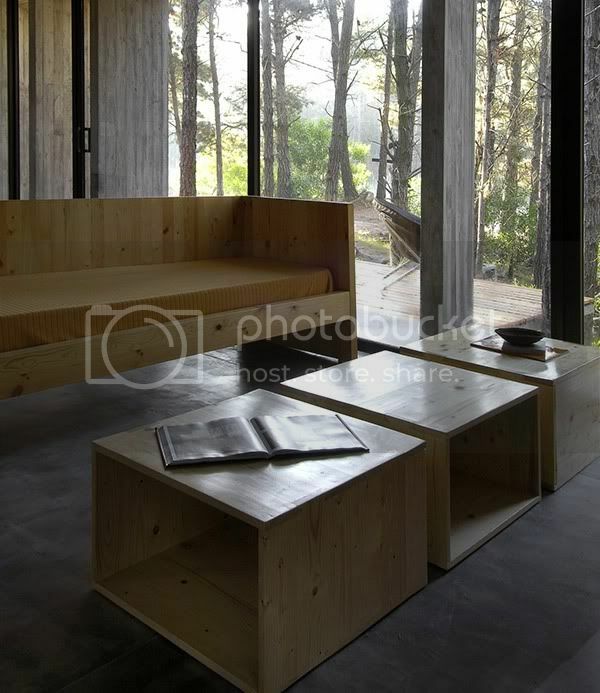 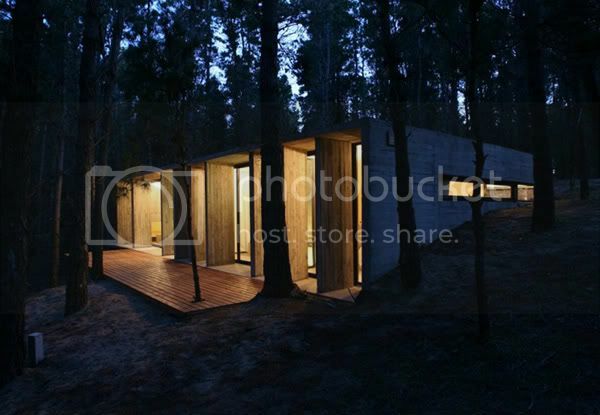 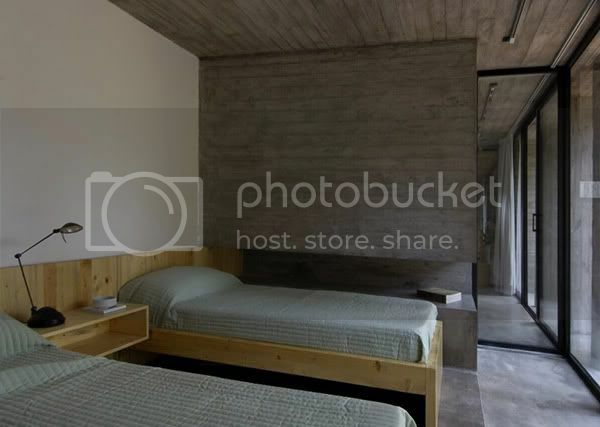 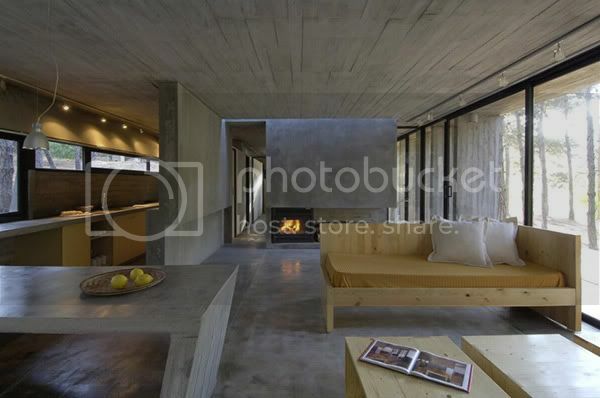 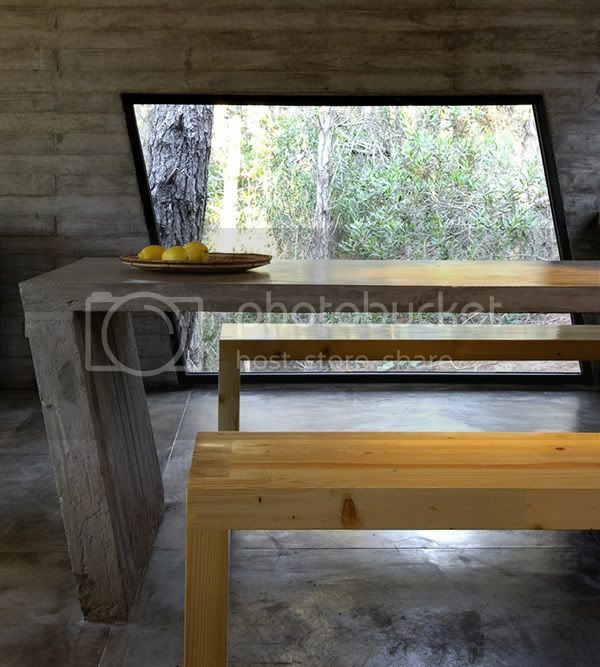 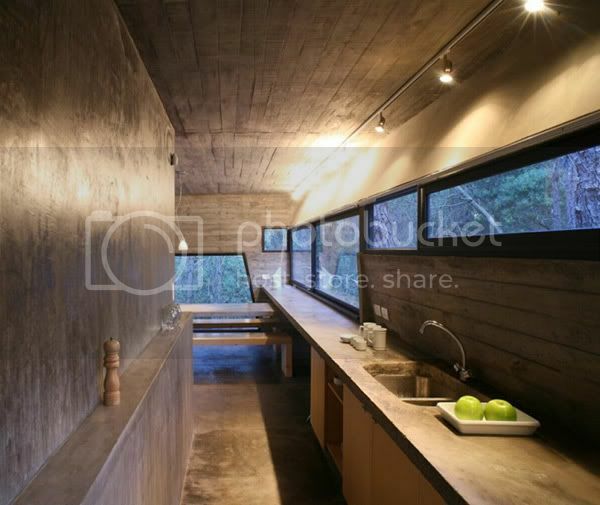 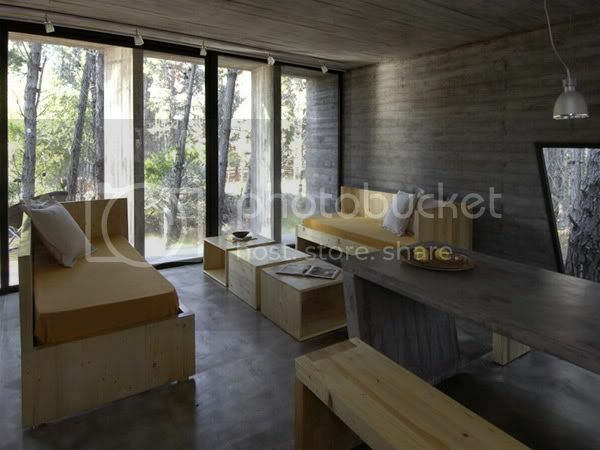 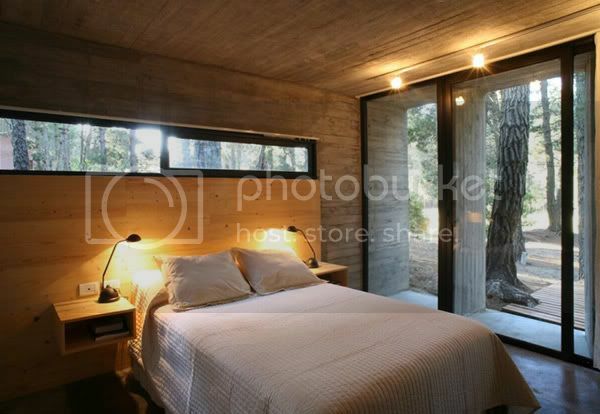 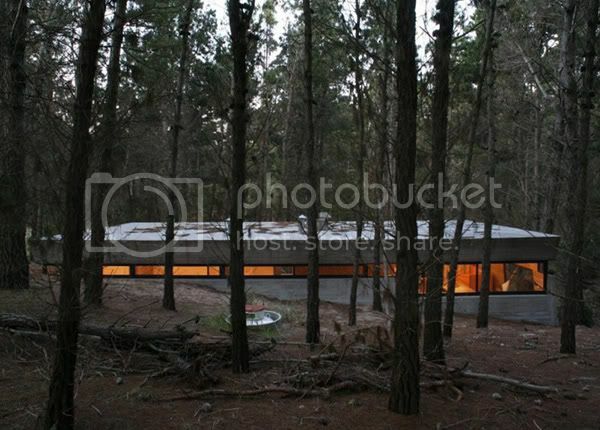 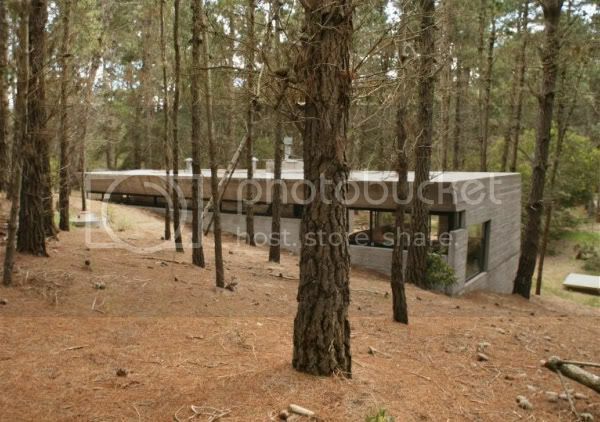 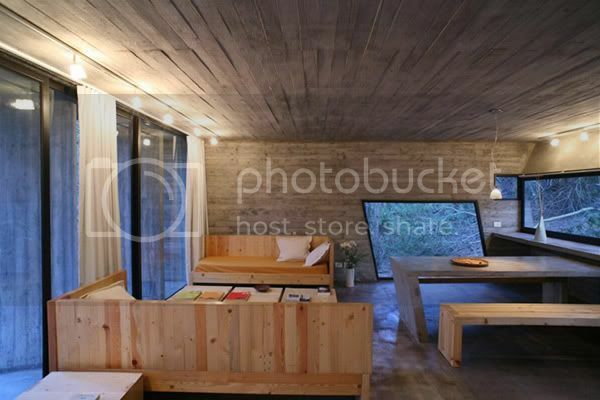 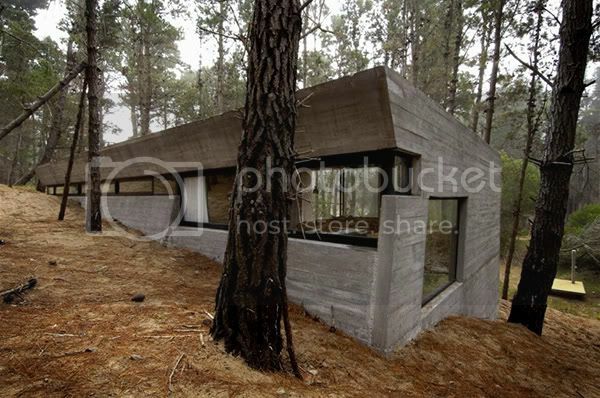 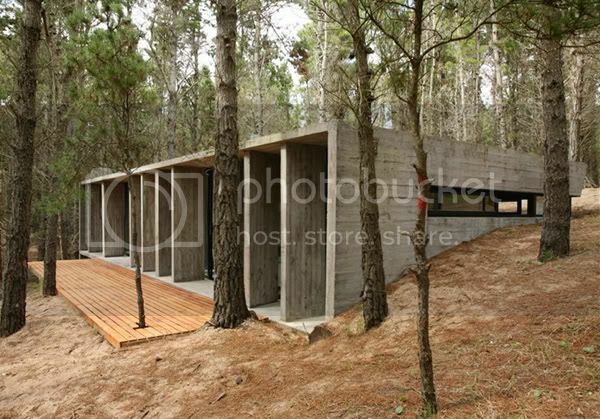 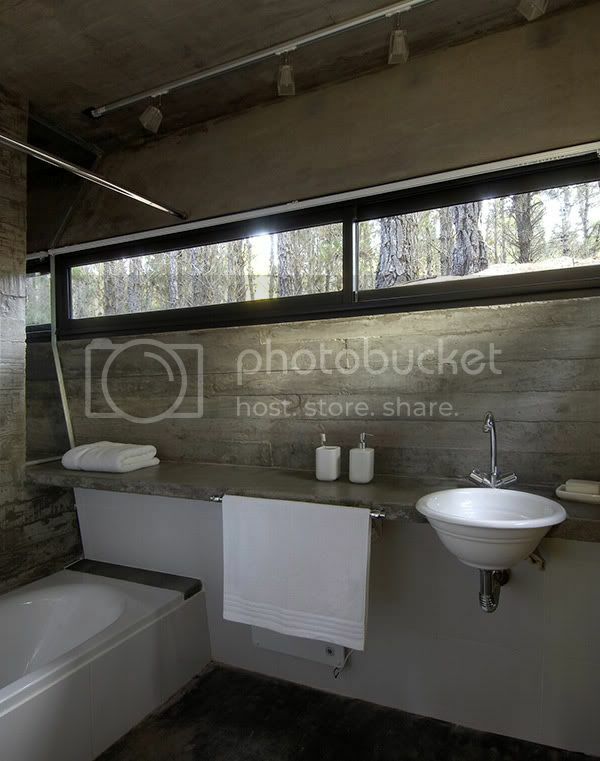 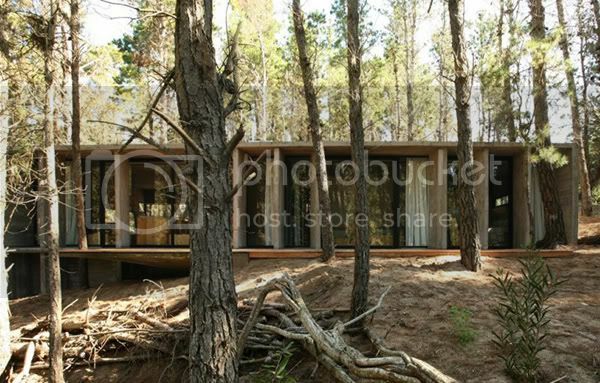 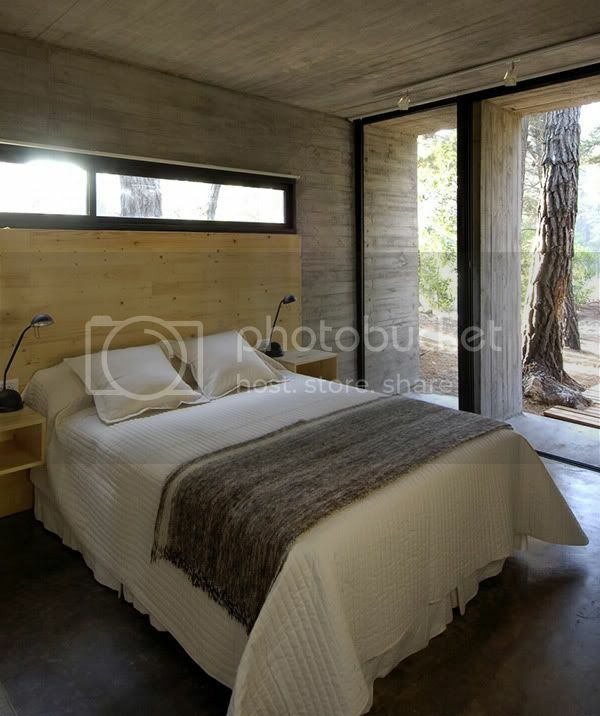 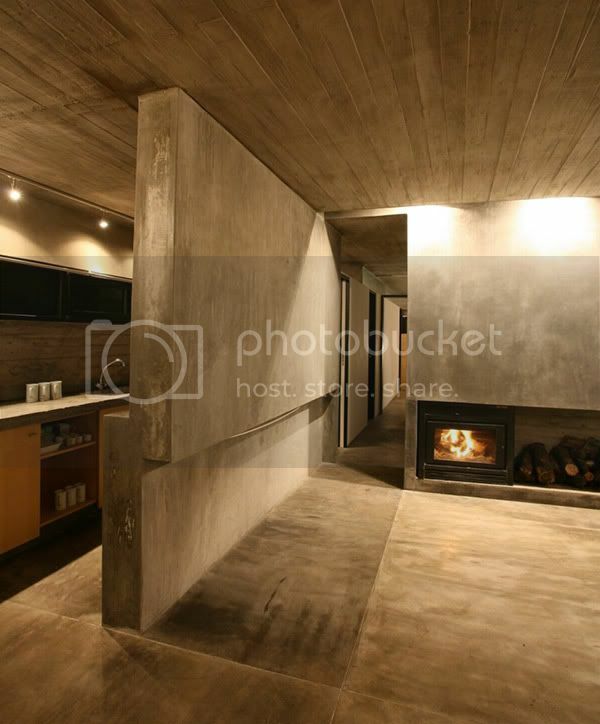 this rustic style concrete house plan deep in the forest or Mar Azul, Argentina.